The infinite banking concept© (IBC) involves properly structured dividend paying whole life insurance in combination with a strategically focused disciplined mind that can correctly administer the concept. It is not for someone who wants “the cheapest policy available” or who follows the tired mantra “buy term and invest the difference.” It is for someone who wants to journey down a proven road of financial success. If you believe IBC banking may be for you, or you are just trying to gather some more information, please continue to read our guide to the Top 10 Best Infinite Banking Life Insurance Benefits. First, let’s define Infinite: something that never, ever ends. The Infinite Banking Concept© (IBC), or “Infinite Banking” is a concept or strategy utilizing permanent life insurance as a personal money storehouse with an endless (i.e. infinite supply) amount of opportunity for you and your family. IBC was made popular by Nelson Nash in his book Becoming Your Own Banker©, published in 2000. The Infinite Banking Concept® is a registered trademark of Infinite Banking Concepts, LLC. The concept uses generally available whole life policies and riders. This is not some “secret” or exclusive product only available to the rich and famous. It is available for anyone who is lucky enough to stumble upon and take the time to grasp this fantastic concept. It is also NOT about actually starting your own bank, and all the rules and regulations that accompany such an undertaking. The idea of becoming your own banker is referring to the fact that you are now wearing two hats. One hat is you as the borrower and the other hat is you as the banker or financier. Some people may even progress into wearing three hats, banker, borrower and business owner. Bank on Yourself is a system made popular by Pamela Yellen that uses many of the principles of infinite banking. Bank On Yourself® is a registered trademark owned by The Hayward-Yellen 100 Limited Partnership. Once again, Yellen is not introducing some “secret” product only available to the rich and famous. The concept uses generally available whole life policies and riders. It is available for anyone who desires to take charge of their financial future through the infinite banking strategy. Is Infinite Banking or Bank on Yourself a scam? No, infinite banking is not a scam. The concept of infinite banking has been around for at least a few generations, dating back to at least the turn of the nineteenth century. The main thrust of the concept is using the cash value in participating whole life insurance from a mutual company that practices non-direct recognition as financing for paying off debt (such as credit cards or student loans), purchasing products (such as vehicles), or purchasing investments (such as stocks or real estate). 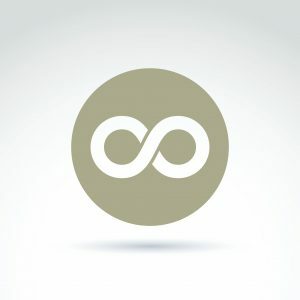 Infinite banking is a concept or strategy that utilizes the cash value of a participating whole life insurance policy from a mutual company as a means of self-financing. The “banking” policy’s cash account is over funded up to the limits allowed without becoming a modified endowment contract (MEC) through the use of a paid up additions rider. The owner of the policy uses his or her cash value as collateral for a policy loan to purchase products, pay off debt, or invest with. Policy loans are guaranteed and provide excellent liquidity. The money borrowed against is then repaid, with interest, back to the insurer, who credits it back to your policy’s cash account. It is this “recapturing” of interest that truly sets the infinite banking strategy of self-banking apart from conventional financial advice. Probably the most widespread example you will see of how to become a banker with IBC is buying a vehicle every five years. Under this example, the cash value in the banking policy is used to purchase a vehicle. The policy loan is repaid by you, the borrower, to you, the banker. But you don’t just repay the loan, you repay the loan with interest. How this looks is, you borrow $25,000 from the insurer and are charged interest by the carrier, say at 5%. Certain carriers that are ideal for infinite banking or bank on yourself strategies continue to credit your full cash value account at the guaranteed rate plus potential dividends. This may be around 6-8% interest with certain companies in our current environment. That means your $25,000 in your cash account acting as collateral is getting positive arbitrage of around 1-3%. As you repay your loan, you choose what interest rate you pay your “bank”, i.e. your policy, back at. Ideally, you want to charge yourself more interest than the insurer, so you charge yourself 7-10% interest. This creates a huge benefit for you as you are now using the power of interest for you, instead of against you. Nelson Nash uses an example of a plane flying into a headwind and shows how owing interest can cripple you and how recapturing interest into your own family banking system can lead to amazing financial results. Once you build your cash reserves you borrow from your policy and put that money to use. You then pay back the loan, with interest, since you as the banker are thinking about how to grow your bank. Curious what a whole life insurance policy for use with the infinite banking concept may cost? Please enter your info below or visit our page for whole life insurance quotes. Are you familiar with the acronyms BOLI and COLI? Perhaps you should familiarize yourself with these terms as the implications of them are quite eye opening. BOLI stands for Bank Owned Life Insurance. Grab the balance sheet of any major bank and find the heading “life insurance assets”. You will discover that banks own quite a lot of assets in the form of life insurance. Now, do you consider life insurance to be an asset? Banks do. COLI stands for Company Owned Life Insurance. It is similar to BOLI. Most, if not all, major companies and banks have BOLI or COLI on the life of key employees in the form of key man insurance. Banks and companies gain two distinct advantages with life insurance assets: tax deferred income and tax free death benefits. So let’s dig a little deeper into what the infinite banking strategy entails. Let’s face it, Americans would not be considered “savers”, despite the popular rhetoric of our day that says we need to put all our money into the market until we reach retirement, AKA “buy and hold” method. One of the benefits of using whole life insurance for infinite banking as a vehicle towards wealth building is that it is a forced savings vehicle. You need to make your premium payments. The idea is that you should be paying yourself first, that is, before Uncle Sam or your creditors. By consistently putting money away into a forced saving vehicle, i.e. your policy, you will begin to build your future pool of financing, i.e. your “bank”. Once you have accumulated money in your policy, the cash can be borrowed against. Essentially, you as the policyholder borrow money from the mutual company. The mutual company uses your cash in your policy as collateral against your policy loan. When you borrow money from your policy there are no taxes. This is the preferred method to accessing your money for financing in contrast to taking policy withdrawals. If you withdraw money from your policy you are depleting your policy of its cash value, cash value that is growing with compounding interest. Further, you may be taxed if the withdrawn amount exceeds your basis (i.e. how much you contributed) in the policy. Policy loans are favored over life insurance withdrawals. pay off high interest credit cards, business loans, or student loans. Investing in real estate assets can create passive income streams. Depressed stocks may pose a great investment opportunity, especially stocks with high dividend yields. Peer-to peer lending may provide a great avenue for increasing your cash flow. You can even loan to your business. This might be a great way to finance your business and provide potential tax write offs or deductions. Consult a tax advisor for more information. One of the KEY components of infinite banking is that you pay back your life insurance loan and do it all again. Most people stuck in the rat race are there because their outflow is greater than their inflow. That is, the money they spend is higher than the money they take in. And if they do save, the money saved cannot keep up with the pace of inflation so they end up working harder and harder, but getting further and further behind. Rather, one benefit of practicing infinite banking that helps you regain control of your finances is through recapturing your interest. A great example is the purchase of a vehicle. When you purchase a vehicle you have three choices: bank finance, pay cash, or self finance. When you bank finance, you owe the bank the principle plus interest. You are essentially going into the negative on your finances. Paying interest to anyone else but you will only contribute to the problem of putting you further into a financial hole. What about paying cash for the vehicle? The problem with this option is you go from having cash to zero cash. You just lost out on the opportunity cost of your money. Further, you are declaring that your money is not worth as much to you as it would be to a bank. You see, a bank would recoup that money through interest. However, if you buy a vehicle and don’t collect interest on your money, you are DEVALUING your own money. The third option would be to self-finance your vehicle. The advantage with self-financing is you are acting as the bank, charging yourself interest on your purchase. You get to choose the interest rate, but it is your money so hopefully you VALUE your money higher than a bank would. As you recapture the debt in the form of interest payment to yourself (back into your policy via the insurer) you policy is growing exponentially due to compound interest. It is important to understand that if you use a non-direct recognition company for your policy, your money in your cash account is accruing interest all the while you are using it for investing or purchases. For example, if you have $100,000 in your cash account and you borrow $25,000 to buy a car, the $75,000 that remains still grows at the guaranteed rate plus dividends. However, your $25,000 also still grows, although at a smaller rate of return. But as you repay your loan, every dollar you replace reverts to the guaranteed return plus dividend rate, creating a snowball effect of true compounding growth in your policy. Another benefit of using whole life insurance through a mutual company as a type of self-banking policy is that the company is looking out for the best interest of its policyholders, rather than stockholders. These “banking” policies are purchased from mutual companies. The companies are not publicly traded on the stock exchange. The board of directors are not swayed by investors but rather look out for the interest of policyholders, the true owners of the mutual company. In today’s world where it seems everyone on Wall Street is out to get theirs, it is nice to know that there are still companies that have the policyholders’ best interest in mind. With a participating whole life insurance policy you receive annual dividends. The dividends from mutual companies that offer these types of “self-banking” policies have been consistently paid for over 100 years, even during the Great Depression. So even though dividends are not guaranteed, there is a very high likelihood that you will receive a return of premium in the form of dividends. However, as a caveat, we must mention that past performance is no guarantee of future results. The cash value in your policy accumulates on a tax deferred basis. You have a guarantee rate and a dividend that will further increase your cash value year in and year out. As time passes, your cash account becomes more and more efficient, i.e. it grows faster and faster. And the best part is the cash value can be borrowed against tax free* at any time and for any reason. *Under current tax laws, a policy loan is not taxable. The only way that the policy loan can be taxed is if you have an outstanding policy loan and the policy lapses. If that happens, you can be taxed on the amount of cash value above your basis in the policy. Under current law, the death benefit from your life insurance is not taxed. This is a huge benefit and makes life insurance one of the greatest investments available. Many people like to compare whole life insurance to other investments, such as IRAs and 401k Plans. However, without even getting into how much superior whole life can be when used as a self-banking strategy, you also have to figure in the death benefit. IRAs and 401ks do not come with a death benefit. This alone makes investing in whole life heads and shoulders above its competition. And with a properly structured banking policy, your death benefit continues to grow and grow as you age. That way your life insurance beneficiaries reap the maximum reward of your policy upon your death, long after most term life policies have expired. The growth in your cash account is tax deferred. Abiding by the principle of the infinite banking concept will allow you to maximize your cash value and avoid paying taxes on your policy. Generally, you do not have to pay any taxes on your cash accumulation unless a taxable event occurs. A taxable event could occur by withdrawing more money than you put in or having a policy lapse with outstanding loans above your basis. Both of these scenarios are easily avoided if you are paying attention. Upon reaching the age of retirement, you can use your policy’s cash value as retirement income. The best way to do this is through policy loans. If your policy is properly funded using the concepts advocated by infinite banking you can use your policy loans to supplement your retirement income without depleting the policy or lowering the death benefit. Policy loans are guaranteed and provide excellent liquidity. Taking out policy loans tax free and using the money to finance other pursuits, such as buying vehicles, paying off debt, or investing in other assets is an amazing benefit. Not only are your policies tax free, but the money in your policy’s cash account continues to grow at a guaranteed crediting rate. So your cash value, through tax free policy loans, is actually working in two places at once. One, in the policy via your guaranteed crediting rate, and two, in your investments you are utilizing the policy loan for. And further, as you recapture your interest and pay back your policy loan, with interest, you are growing your policy’s cash value exponentially, while simultaneously increasing your death benefit. The money in your cash account is yours to withdraw if you need it. You can withdraw up to your basis (i.e. premiums paid) in the account without being taxed. However, this is not the recommended method under infinite banking, but it is nice to know you can take out your money penalty free if you so desire. The primary vehicle that allows your infinite banking policy to grow so quickly is the paid up additions rider. This rider allows you to purchase paid up life insurance. You death benefit increases, as does your cash value, dollar for dollar. This allows many self-banking policies cash value to be accessed in just a short period of time, compared with many years on a typical whole life policy where the main perk is the death benefit. A non-direct recognition life insurance company pays a guaranteed crediting rate plus dividends on the entire cash value, rather than paying only on the cash not currently borrowed against. This is a huge benefit to a self-banking policy utilizing the concept of infinite banking because your money is essentially working in two places at once: in the policy and in your investment. The cash account is still credited your guaranteed rate plus dividends. The mutual company will loan you money at an interest rate typically below your total return in your cash account. That way, you still earn interest on your entire cash account, although at a lower rate on the amount held as collateral due to the policy loan. A “true” infinite banking concept policy or Bank on Yourself policy require the company practice non-direct recognition. However, direct recognition companies can offer similar results and need not be automatically ruled out as a viable option to any self-banking strategy. If you were to pin us down and ask us what we recommend, it would be a non-direct recognition company. It just makes more sense for a banking policy, since you plan to use your money not have it sit idle in your policy. We have touched on a lot of the pros of infinite banking. However, no review of the concept would be complete without also touching upon the cons of infinite banking. To get the most out of a banking policy it is best to use the concept of infinite banking in conjunction with permanent coverage, preferably whole life. Front-loaded fees are the primary arguments raised in opposition to whole life by financial pundits. Of course, these same financial “gurus” fail to mention that your 401k plan, your IRA, and your mutual funds all have fees that may exceed any fees in a whole life policy over the long term. Here is a 20 page document from the Department of Labor on all the fees in a typical 401k plan. Nash’s book was written in 2000. The content is outdated. However, the concept itself is sound. In fact, Nash only went so far with the concept. We believe there are ways to implement the infinite banking concept that go beyond what Nash is offering his readers. Who are the best companies to use to practice infinite banking? Well, just as there are no one size fits all policy, there are no one size fits all company for infinite banking. One reason is that for some people, using indexed universal life insurance might be the better option for your particular situation. Another reason is that one company may practice non direct recognition and another may not. Still another reason it is hard to pinpoint the “best” IBC banking policy or company is because some companies have a much stronger dividend than another. These are just a few of many factors to take into account when trying to locate the best infinite banking insurance companies. Consider this: You put your money in a bank and receive a small return (.004%) and then take out a loan (for credit cards, small business loans, car loans, student loans, etc.) at a much higher interest rate. Why not fund a whole life insurance policy and take out a policy loan where your remaining cash is getting a guaranteed return and the borrowed cash is still getting a small return, in addition to whatever your investment returns? A bank will take your deposit and give you a small amount of interest for you to park your money with them. The bank will then use your money to gain much higher interest loaning it out to others, or even back to you. Further, due to our fractional reserve banking system, a bank can leverage out the money it has on deposit 10-1. A bank makes a great deal of money through interest. If it is paying you a half percent of interest on your money and loaning your money out at 5% interest, the bank is not making a small 4.5% return on your money. Rather, the bank is making a colossal 10 times more return* on your money! Instead, shouldn’t those gains be going into your pocket? *Think about it like this. If you get a half percent return on $1,000, your interest gained would be $5. If the bank gets 5% interest on $1,000, the bank earns $50. The bank earned 10 times your return. That is amazing. And to make it even better for the bank, it can loan out with 10-1 leverage on your deposit, or $10,000. So the bank would actually make $500 on your $1,000 deposit, if it only charged 5% interest! Whole life also offers a death benefit (no death benefit for a Roth IRA). Whole life has no contribution limits. Whole life policy loans and withdrawals can be taken anytime without penalties. Whole life has no required minimum distribution at age 70 1/2. You receive “true” compounding growth of your whole life cash value, even if you have outstanding policy loans. Where else can you receive “true” compound growth, except in a policy where you never need to withdraw the funds, but where you simply borrow against your cash value? And if you compare whole life using IBC to 401k plan withdrawals, IBC banking is even more favored. Many financial entertainers (Dave Ramsey, Suze Orman) trash whole life as a bad investment. They talk about how you can earn 12% or more in stocks and how everyone should buy term and invest the difference. Now apart from the fact that 12% returns in the stock market is a myth, there are several reasons why whole life insurance is a good investment, especially when you employ an infinite banking strategy. Using an infinite banking strategy to create an asset (your life insurance policy) and then using that asset to fund the purchase of another asset has an amazing compounding effect. You can then use the proceeds from your new asset to repay your policy loan. From there, you can use your cash value as collateral for another loan and purchase another asset. Repeat the process. At the same time, your old asset may also be used as collateral to purchase another asset. And on and on it goes into infinity. As you continue to fund your banking policy you will continue to have a greater pool of assets to draw from. This in turn will allow you to make more and more investments. Whether it be single family residences or apartment buildings, the tax breaks from real estate investing are certainly worth looking into. You may also want to consider companies that allow you to invest via crowd funding of larger commercial real estate properties. Purchasing assets in oil and gas where you actually own the production of oil and gas can be a far superior way to invest in oil and gas. Lending Club and other sites like it are a great way to create cash flow. Infinite banking and bank on yourself strategies are an excellent way to maximize your money. Plus, it opens the door for all kinds of opportunities down the road. For anyone seeking financial freedom and escape from the rat race, taking the time to investigate this awesome concept will produce dividends far beyond what you could imagine. You owe it to yourself and your family to take the next step. Please contact us today using the contact form below to speak to an advanced markets professional. Greetings and thank you for the excellent material. Like others, I’m wondering which company would be best for me. I’d like to communicate with a specialist about it. Thank you. The more information we have, the better we can suggest a provider. Please call one of our licensed agents at (888) 234-8376 and we can take it from there. Do you have any recommended ins providers for Canada? Or does the IBC concept apply to Canadians? We do not have a recommendation for providers in Canada primarily because we cannot offer life insurance to Canadian residents. However, I am sure a Google search for “infinite banking Canada” will provide a good start. This was very eye opening, Thank you.Where do you start with a company that has a proven track record and practice what they say they say in fairness to their participants? Thank you for the question. There are definitely around a dozen or so companies that fit the necessary requirements (although we have our favorites from the group). The key to landing with the right company and policy is to talk to a seasoned agent who is familiar with using permanent life insurance for personal banking. We would be happy to help you out if you wish to speak to one of our specialists. Need to find out what companies are best.Great article. This is why in addition to the “Top 10” life insurance companies that we’ve listed in this article, we also work with several dozen “other” great life insurance companies as well! Would infinite banking or self banking work with indexed universal life? You can use indexed universal life for infinite banking although most “purest” will argue that it is an inferior option compared to dividend paying whole life insurance from a mutual insurance company. Further, your true purest will even argue that you have to choose a company that practices non-direct recognition. We have found that you can use IUL to practice self banking but you have to be more vigilant. The major advantage of whole life is the guarantees that it offers. Those guarantees provide less maintenance so you can focus more on the banking and not on policy management. What companies do you recommend if someone wants to implement the infinite banking concept? Thanks for your inquiry. What companies are best for infinite banking would be carriers that focus on participating whole life insurance, although that is not always the case. The right company for you will depend on several factors, such as your risk tolerance, health, lifestyle and need. Feel free to either fill out our contact form or give us a call. We would be happy to give you specific recommendations. Previous Post: Getting Life Insurance Coverage with Cholangitis. Next Post: Qualifying for Life Insurance with Chorea (Sydenham’s Disease).